EDITOR’S NOTE: Google’s latest Quality Rater Guidelines is updated as of July 27, 2017. Google regularly updates its internal guidelines document that tells hired human quality raters how to evaluate sites as part of Google’s ongoing experiments. We in the search industry usually get only leaked tidbits and summaries to read. But last month, in a rare gesture, Google published the guidelines as a PDF for all to read. The guidelines are not the algorithm. But they do show what Google’s focusing on, and that’s worth paying attention to. What’s important for business owners is not all of the nitty gritty technical details. Leave those to your SEO. Instead, business decision makers need to glean what Google’s focus is so they can allot budgets and assign priorities correctly in a website strategy that’s aligned with what Google rewards. Mobile everything: Not only is there a whole new section devoted to mobile quality, but also most of the examples now show screenshots taken on mobile devices. Needs Met focus: A new rating scale judges how fully a web page result meets a mobile searcher’s need. Any site that is NOT mobile-friendly automatically fails this criterion. The entirely new section for judging Needs Met proves that Google is all about satisfying the searcher’s needs. Here’s our checklist for making sure your SEO campaign aligns with Google’s priorities. How easy/hard is it to fill out forms or enter data? How does the site or app behave on a small screen? Are all features usable? Is the content legible without requiring left-to-right scrolling to read text? Do images fit on a small screen? How easily can someone navigate? Are menus, buttons and links large enough? What happens on your site when Internet connectivity is inconsistent or slow? 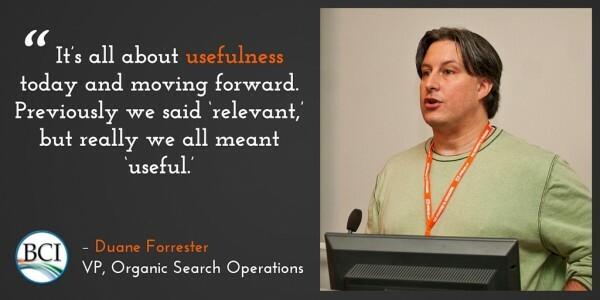 How well does your site anticipate and fulfill a mobile user’s needs? Needs Met rating tasks ask you to focus on mobile user needs and think about how helpful and satisfying the result is for the mobile users. Require minimal effort for users to immediately get or use what they’re looking for. 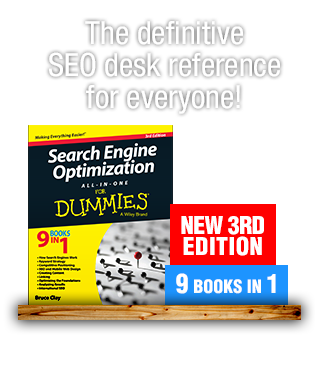 Satisfy all or almost all users looking for the same thing (so that they wouldn’t need to see additional results). Provide trustworthy, authoritative, and/or complete information that is helpful. The takeaway for mobile SEO marketers as well as for app/website owners is this: Think about what mobile users may be trying to do, and make sure that your site fulfills these things as directly as possible. Google is all about satisfying mobile users’ needs; you should be, too. Answering this question takes some serious thought, but ultimately pays off in spades. Does the web page have a clear purpose, and how well is it achieved? One of the first tasks a rater must do is figure out what a web page is for, and then decide how well the page achieves that purpose. For example, the purpose of a news site home page is to display news; the purpose of a shopping page is to sell or give information about a product; etc. Google has very different standards for different types of pages, so understanding a page’s purpose lays the foundation for assessing its quality. How helpful is the page’s purpose? Google wants each page to be geared to helping users. Helpfulness factors heavily into quality ratings. On the low end of the quality scale would be pages that harm or deceive users (even though they may be fulfilling their designed purpose). Is the purpose of the website as a whole clear, on and off site? Make sure that your website’s overall purpose is explained clearly, ideally on the About page. The rating guidelines include examples of pages with “non-obvious purposes” — pages that seemed pointless or inaccurate on their own, until the rater referred to the About or FAQ page and discovered they were actually beneficial (see Section 2.2). In addition, Google looks at independent sources to see whether the site’s reputation matches what it claims about itself. If there’s conflict, Google will tend to believe what the outside sources have to say. For small businesses or organizations, a lack of reviews or reputation information does not mean the site is low quality (see Section 2.7). Does the page have quality main content? There is a satisfying amount of high quality main content on the page. The page and site have a high level of E-A-T (expertness, authoritativeness and trustworthiness). The site has a good reputation for the page’s topic. There are no hard and fast rules, and no minimum number of words per page. The guidelines encourage raters to decide whether the main content fulfills the purpose of the page satisfactorily. Is there any supplementary content on the page that is helpful to users? Google recognizes that supplementary content “can be a large part of what makes a High quality page very satisfying for its purpose.” Consider what you can include to offer related information, ways to find other cool stuff, or specialized content that could be helpful to people visiting that page. How high quality are your site’s YMYL pages? Pages that can impact a person’s “future happiness, health, or wealth” are known as Your Money or Your Life (YMYL) pages. Google first introduced this concept in the 2014 Search Quality Rating Guidelines, which held these types of pages to a much higher standard across all quality criteria. Examples include pages for shopping transactions, financial information, medical advice, legal information, and many more. Does your site look alive and well-maintained? Pages should continue to function well for users as web browsers change. Google’s algorithm is known to look at “freshness” as a ranking factor for many types of queries. When Googlebot gets to your site, does it find any recently added or updated content? For blog posts and other content that is dated, don’t try to game the system by setting up a program to automatically change dates to make things look recent; Google’s on to that scheme. Raters are even instructed to manually check the Wayback Machine to investigate suspicious dates to see whether content is copied or original (see Section 7.4.7). By the way, Google’s algorithm doesn’t need the Wayback Machine to recognize original content, so don’t even try to cheat. A healthy website frequently adds new content and/or updates old content to keep things fresh and useful for site visitors. 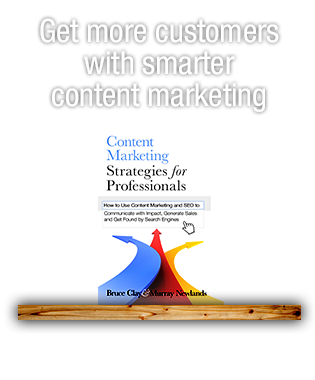 How expert is your content? 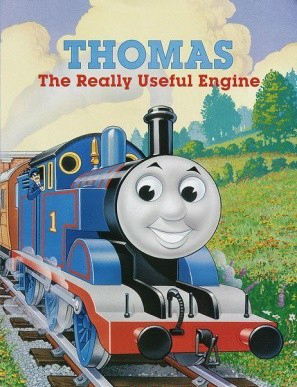 Thomas the Tank Engine had the right idea all along. There are “expert” websites of all types, even gossip sites, forums, etc. Ordinary people may have “everyday expertise” on topics where they have life experience, such as people who write extremely detailed reviews, tips posted on forums, personal experiences, etc. Make sure your expert content is “maintained and updated” to increase your site’s E-A-T rating. If you have ads or monetized links on your site, are they appropriate for the page’s purpose? The guidelines state that “the presence or absence of Ads is not by itself a reason for a High or Low quality rating” because Google realizes that many websites and apps owe their existence to ad income. However, Google “will consider a website responsible for the overall quality of the Ads displayed” (see Section 2.4.3). So keep an eye on the amount and use of affiliate, display, or other types of advertising. Make sure that ads don’t overwhelm the more useful main content (and supplementary content, if any) that each page contains. The old saying goes that there’s always room for improvement. This post is by no means a complete SEO checklist. We hope that as you apply these points from the 2015 search quality ratings guidelines that are based on Google’s priorities, you’ll begin to view your online properties with a new SEO point of view — and make your sites and apps more useful. Was Google’s Revised Core Search Focus Just a Ruse? I am not native English i would like to become a content writer. I have been search engine optimization since 2010 I can understand what type of content need to be required for seo friendly website. I would like to practice can you give me idea how can i improve me content writing skills. If you have any reference send me please. You have shared very useful information with us. It will help me going forward for SEO. Thanks for sharing. Parminder: By “this tool” do you mean Google’s Mobile-Friendly Test, the guidelines document itself, or other? When using this tool remember that actual CPCs can end up being quite different than what you may find in the Keyword Planner, and can be affected by Quality Score, device type, geography, and average position, among other factors. Hi Jakob. :) Backlinks are a ranking signal, but I hope that they’re approached by marketers with an understanding that links are the natural result of content that’s useful. Links aren’t the goal. A helpful website that meets customer needs (on mobile!) and with content that stands out in the noise is the goal. Do you think backlinks will still matter in 2016? Hi everyone – Sorry I haven’t been responding, I was in training for a few days. The link to Google’s guidelines document was broken at first but corrected soon after. Thanks to Christina Lannen and Neo Ni for noticing the problem and the fix. To Jon Tan, Alan, Andy Kuiper – You’re welcome! There were several industry blogs reporting on the “what’s new” aspect of the 2015 version, but none was covering all the major points, as far as I could find. Since many businesses don’t follow SEO news closely, they’d be coming to this guidelines document fresh — and facing 160 pages in bulk would be pretty intimidating. I’m glad this checklist is a helpful hand-hold through the main points of what Google considers “quality.” Even so, I hope interested marketers are also digging in to the guidelines document to read the detail in the sections that apply to them most. Thanks for the summary! It’s hard to read 160 pages this days. Christina, please recheck link works. @Paula thanks for conclusive post! Mike (aka “frustrated”) – I checked with Robert Ramirez, our SEO manager, regarding your question. First, he said he wasn’t aware of any code that can cause a page to “appear as if they are mobile when they are not.” It might exist, but Google is usually pretty good at identifying sites that are coloring outside the lines, so even if this did work temporarily, Google would figure it out eventually. Second, you heard some bad information: “I continue to hear that if a website is not mobile friendly it will not rank well or can be penalized.” That’s not accurate. Google has confirmed that mobile-friendliness is a ranking signal for mobile search, but it’s only one signal among 200+. 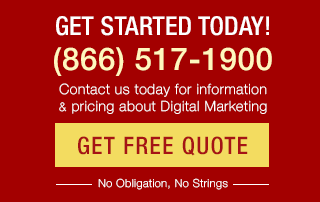 Non-mobile-friendly websites can and do rank well often, and there is no “non-mobile-friendly” penalty. Mobile friendliness appears to be a tiebreaker of sorts. If two sites are ranked about the same and one is mobile-friendly and the other isn’t, then the mobile-friendly one will be ranked higher. A site that doesn’t deserve to rank on the first page, however, will not do so magically because they’ve spent time making the site mobile-friendly. The investment you’ve made to be mobile-friendly is not a waste, though. People who visit your site on mobile devices are probably far more likely to stay and convert because the site works for their needs. Who knows, but those fake-mobile sites may have sky-high bounce rates from mobile visitors who arrive and immediately leave because the site is unusable. Since 1996, I have been working non-stop building and tweaking our website to maintain and conform to all of the Google Guidelines especially the “Mobile Friendly” transformation of our entire website. I continue to hear that if a website is not mobile friendly it will not rank well or can be penalized. I am confused as to how sites that are “NOT” mobile friendly at all continue to rank page 1 number 1 for thousands of keyphrases. Our direct competitor continues to rank number 1 across the board on almost every keyword/phrase associated with our industry, their site is not mobile and it looks like it belongs in 1999. I understand they have good content and backlinks as do we but it is frustrating that we spent so much time converting to mobile friendly responsive design and others still have not complied or just place a fake code at the top of their homepage to appear as if they are mobile when they are not. The link to the Google guidelines doesn’t work. Paula, first congrats for the good job on curating the well informative article on why to become more relevance to Google via Search Quality Rating Guidelines. http://website-seo-guide.blogspot.in is appreciating your efforts. 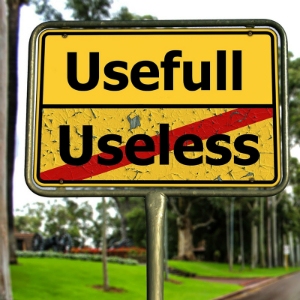 Useful is spelled incorrectly on the sign. I haven’t gone through 160 pages guidelines but I after reading this post I knew it could be all about. Thanks for the wonderful post.